For Sevan's daughters Kassy and Jessica. His motivation. Sevan was a son, a father, a husband, a brother, an educator, and a tremendously loyal friend. We lost Sevan much too early. Just as Sevan gave to others, we'd like to give back to his family in honor of his memory. As one friend wrote on his Facebook page: "A truly amazing individual, extremely generous and completely self-less." Sevan would want nothing more than for his daughters to go to great schools where they can continue to do their best. 100% of proceeds will go to Kassy and Jessica to support their education (deposited directly with Yana Muradian). Abe Khorshid, Andy Khorshid, Adam Khorshid, and Kevin Muradian are maintaining this page. On Sevan's 41st birthday today, we want to thank you for your love and your generous gift. Those first few days were very hard. When you suddenly lose someone you love in this way, there are very few answers. The world is spinning. And the ground you stand on is in question. It is a very surreal out-of-body feeling and you are unable to make sense of what is going on. You grasp for any sign. Each time you contributed or wrote about Sevan, it felt like you said "I care too". It is not as much the gift or the amount of money that made a difference. It was knowing that you cared and the things you said and wrote. People just being there is all that matters in those first, painful days. Just knowing that other people care eases the immense feeling of loneliness. We promise you that we will put this money to good use for Kassy and Jessica. More importantly, there will be many everlasting signs that their father was a good man who many people cared about. How amazing to see this and know this. If you every know anyone else who goes through something like this, please reach out to us and we will give this forward. Thank you for your act of love. We will never, ever forget your generosity and kindness. May Sevan's spirit live within you forever. We are grateful for your gift. We are especially grateful for the sheer amount of people and the beautiful words. One day his children will see this and they will read about how their father helped and influenced so many people. Thank you for supporting Sevan's family. We will continue to update you. Sevan was a giant…. a force of nature, on the Illinois, the United States and the World Chess stages. He was the pioneer and trendsetter in internationalizing US chess. Sevan, through his own organization ran 266, events and worked with many other organizers on countless events all over the world. One of Sevan’s shining accomplishments is bringing norm events to US shores where players could earn international titles. He ran 31 such norm events, but importantly inspired many others across the US to do the same....the Continental Chess Association for that matter. Make no mistake about it, Sevan is the one who kicked this phenomena off in earnest….and in so doing raised the level and of quality of play in this country immeasurably, and even more importantly, gave many US based players the opportunity to earn their international titles without having to leave the country. That is huge. Sevan was an ardent supporter of scholastic chess and high end junior chess in all its forms. Sevan was the go to organizer and TD for the Denker, the Barber and Girls invitational qualifying events. He did this gratis. He arranged for or provided venues for these event -- again, at no cost. He was a good friend, supporter, and currently served as the Director for the Warren Junior program. Sevan was the founder and main benefactor of the Chicago Blaze of the US Chess League, and brought a championship to Chicago well before the Blackhawks started making a habit of it. Sevan was a doer-- he had boundless energy and juggled more balls in the air than most people can imagine. Sevan ran deep and wide. He was a thinker, he was wise, he knew a lot about a lot of things. He wanted to exert an influence on all of the 64 squares of life; and he did a pretty good job of it. Sevan was not warm and fuzzy. He told it like he saw it, but he had a heart of gold and would generously share his considerable life knowledge, experience, and advice about studies and career with countless young people. Sevan was a fierce and principled adversary. You would much rather be Sevan’s friend than his foe-- believe me. I had the privilege as serving as Sevan’s lawyer, his Secretary of War so to speak, from time to time. If an opponent raised a flimsy or flawed argument, Sevan was intent to mercilessly destroy it and lay it to rest. The lesson: if you wanted to take on Sevan, you better be prepared or you would surely suffer the consequences. If you wish to honor Sevan’s memory, let me suggest this: be the best you can be in your chess related activities and in life….and always look for the opportunity to help someone else out to improve their chess game...and for that matter, their lot in life. That’s just the way Sevan rolled. I think Sevan would have wanted me to stop by now … so I’ll end by quoting Edwin Statin, another Secretary of War, who served under Abraham Lincoln. As for our good friend Sevan Muradian, who has left us far too soon: “Now he belongs to the ages”. Thank you. A common thread that has run through the remembrances people have shared on Facebook over the last 48 hours was Sevan’s selflessness and generosity of spirit. He gave freely of his time and resources, and was a friend, mentor and benefactor to so many. Sadly, Sevan has left behind two young daughters, Jessica and Kassy. One way to honor Sevan’s memory is to consider making a contribution to help fund their future education. A fund has been set up by Sevan’s family and friends. You can contribute by going to https://www.gofundme.com/sevanmuradian. In the last 24 hours, 60 people have contributed a total of more than $15,000. Thank you, and good luck in the rest of the tournament. The last I checked, over 22K had been collected. A very sincere Thank You to all those who attended the services today. We are very humbled by the huge turnout. Sevan's family is seeing first hand just how much his work meant to everyone. And for those of you who could not make it, we understand and are very thankful for your support. Many in the chess community requested that we keep the fund open for 64 more days (the squares on a chess board). We will keep the fund open. Look for an update from us shortly. 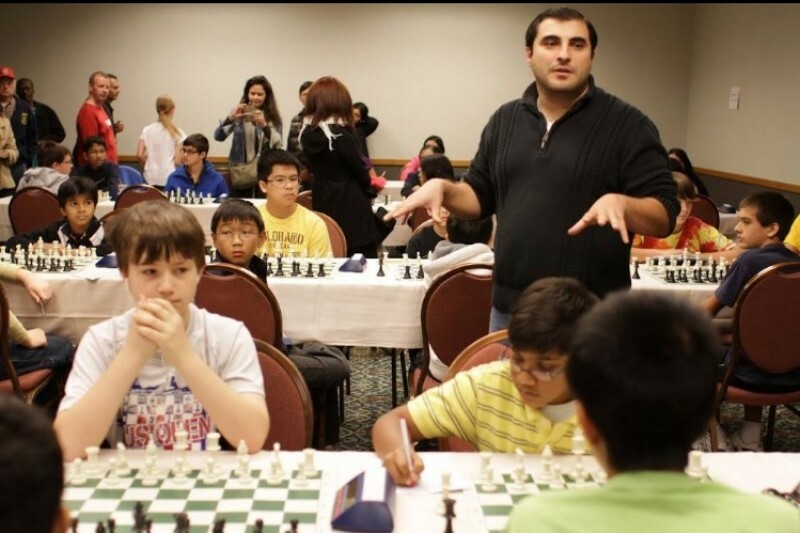 We are very grateful to Sevan for all his big accomplishments like organizing big chess events for the greater Chicago community and many others. At the same time there were many little things that showed that some one cares like letting my girls use his phone after each and every round at his center or other tournaments. Either I got a text from him that ¨they are done and come and get your girls¨.To a mom those little things matter a lot, to know that your child is in a safe place and cared for besides the great amount of politics that I hear is involved in chess. In bigger events he would usually sit outside the tournament hall and there was never a time when the girls would pass by and not be teased by him. There had to be a funny comment and off course the girls knew and would be happy to be teased by Sevan and they would say something funny back to him. Those little things that make a person so special. He will be missed dearly by us. You're a true friend and you will be dearly missed. Thank you for everything you did. You took care of everyone. Now we will do everything possible to help your daughters. RIP my friend! My brothers lost a brother when Sevan passed away. He will be sorely missed by the Khorshid family. May he rest peacefully with the Lord. Condolences from your friends at UI Health. Thanks for all you did to promote chess in the Chicago area. We attended many of your tournaments throughout the years. You will be missed.